Four friends. Five letters. One big secret. Joni, Deb, Erin & Trina have all been best friends since school and in an effort to maintain their friendship into adult life they organise a girlie getaway each year. Enjoying time to catch up away from their careers, partners, children & real lives. What could be lovelier? 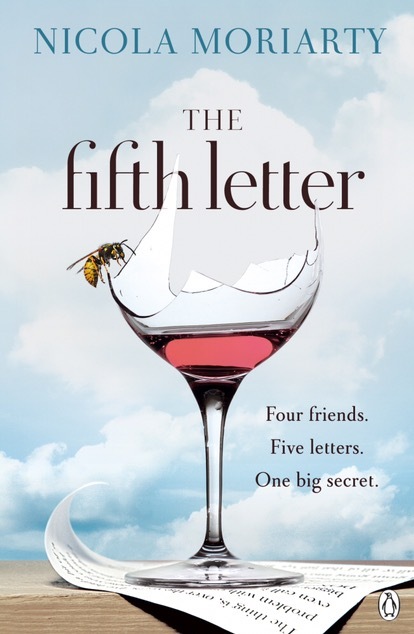 On a boozy evening during their trip the girls decide to each write an anonymous letter containing their biggest secret. Each letter holds their deepest, darkest confessions and exposes their rawest vulnerabilities. What seems like a fun idea to open up and further strengthen & deepen their friendship, starts a catastrophic chain of events, when suddenly a fifth letter appears. Who has written the extra letter? Who has an extra secret to hold? This is a really gripping story which keeps you guessing. I’ll be honest I struggled a bit to keep up with the four & remember who had which issues (there’s LOTS of drama. It’s a good thing!) but the relationships are so well constructed & described you quickly pick them up again. I love how all four women interact, it’s such an interesting picture of toxic female friendships. The use of a confessional conversation with the priest was a nice touch but there was a “round off” (no spoilers) that felt a tiny bit awkward & far-fetched, so it’s four cwtches from me. Thanks to Netgalley & Penguin for the chance to read & review. A fascinating story of secrets, lies, friendships & frenemies. Get your copy here.